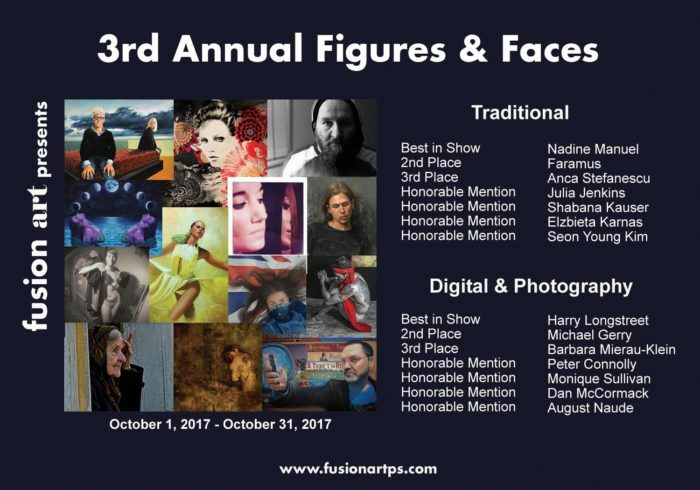 So pleased to have been voted into the International Juried Exhibition by Fusion Art for Figures & faces 2017! They received entries from all over the US, Canada, UK, Latvia, South Korea, Cyprus, Israel, Australia, Spain, Romania, Taiwan, Germany, Slovenia, Italy and South Africa. I was thrilled to see that both of my oil paintings got voted into this exhibition! ‘Identity’ is the painting with British flag, this was awarded with an ‘Honorable Mention’ and can be seen on the official gallery flyer alongside other top winners! My oil painting ‘Forgotten’ (the painting with just the eyes, I modeled for this!) was selected as a finalist.